By Katie Truscott – Katie has recently returned to the Okanagan after a decade of sipping and writing about wine in South Africa. 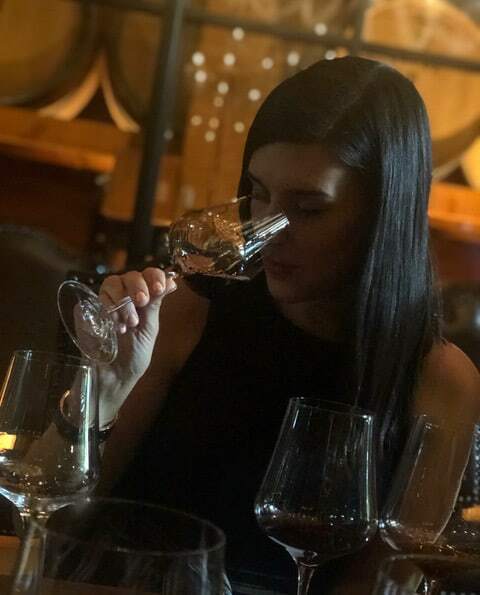 Currently finishing up her WSET diploma, Katie enjoys writing about wine inspired topics for her blog, Katie’s Wine Life. You can also find her cruising the aisles at Cask and Barrel in West Kelowna or advising clients on their cellar selections with her business, Okanagan Cellar Selection and Design. It’s official, a brand-new year is about to begin and 2018 will soon be behind us. New Year’s invokes celebration and good vibes. And what better way to welcome 2019 than with a glass of BC bubbly paired with some New Year’s fun? Photography by Tarynn Liv Parker. British Columbia is truly nature’s playground; offering endless opportunities to suit any holiday goers’ tastes and budget. From vineyards to the slopes, super natural British Columbia is the epitome of raw beauty. With the Winter, comes a magical snowy wonderland that presents the perfect opportunity for residents and visitors to get outside and play or admire the dreamy views from the cozy indoors. With over 270 wineries in British Columbia, our province offers a diverse and exciting selection of local wines. The climate and location create the perfect environment for sparkling wine production with many local producers jumping on board to start creating some frothy magic. Here are my top choice BC bubbles to pair with some local New Year’s fun, sure to leave you starry eyed and ready to welcome 2019. Bundle up and take a drive with your closest friends or family out of the city limits and find a great spot for a cozy campfire. Roast marshmallows and pop some bubbly. Start the New Year outdoors surrounded by those you love while soaking up the fresh mountain air and pine aromas. Pair this activity with a bottle of 8th Generation Vineyard Integrity Frizzante. This prosecco-style sparkling is delightfully fruit forward with soft, small bubbles to tickle your palate and leave you giddy. 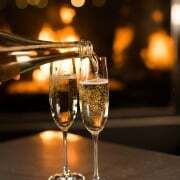 Ring in the new year with someone special on a cozy retreat. I recommend checking out Sparkling Hill in Vernon. This high-end wellness resort is situated on top of a granite bluff overlooking Okanagan Lake. Enjoy the various treatments and massages available while sipping on some 2014 Fitzpatrick Blanc de Blancs. Or spice things up and drink the bottle from your peaceful room overlooking the lake or the mountains (fun fact: the jet stream bath tub fits two perfectly). Fitzpatrick Vineyards is situated between Peachland and Summerland and is and industry leader for their traditional method sparkling wines. Blanc de Blancs is made from 100% estate grown Chardonnay. This sparkling spends no less than 36 months on the lees and each vintage expresses the unique time and place of the particular vintage year. Hitting up a house party for New Year’s Eve? Tote along a bottle of Haywire 2016 ‘The Bub’. It’s lip smack-able and delicious. Produced by the Okanagan Crush Pad in Summerland, ‘The Bub’ is made from Pinot Noir and Chardonnay. Fermented in stainless steel tanks and disgorged with zero dosage, this sparkling is citrusy and fun with a light textured effervescence. If you are taking along an appetizer, I recommend a selection of soft cheeses to accompany the Bub. The morning after the afterparty mimosa! For some of you you’ll be starting 2019 off a little foggy with only a few hours of sleep. Wake up celebrating the first day of 2019 by making yourself some homemade eggs benedict and pairing it with a delightful mimosa. I highly recommend the Stoneboat Vineyards‘ Piano Brut either by itself (it’s that delicious) or with a splash of freshly squeezed OJ. This blend of Pinot Blanc, Müller Thurgau and Schönburger was inspired by the Prosecco of Italy. The bubbles are created naturally using the Charmat Method. 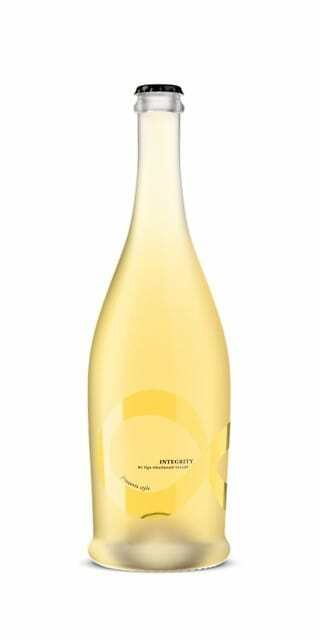 Think citrus, green apple, peach and pear with a touch of honey that gives a frothy mouthful of bubbles. This is an absolute stunner of a sparkle! Get a good night’s sleep after the count down and start 2019 fresh and fancy free with a show shoe on one of your local trails. Take along a bottle of bubbly in the back pack to keep the spirits high and toast to a New Year in the beautiful BC wilderness. Bella Wines is a sparkling wine house that focuses on single vineyard expressions of their Chardonnay and Gamay Noir. They utilize both traditional and ancestrale method. For your snowshoe I recommend their 2017 Methode Ancestrale Rosé. This 100% single vineyard Gamay Noir is a dry sparkling red wine. Spending your New Year up on the slopes? 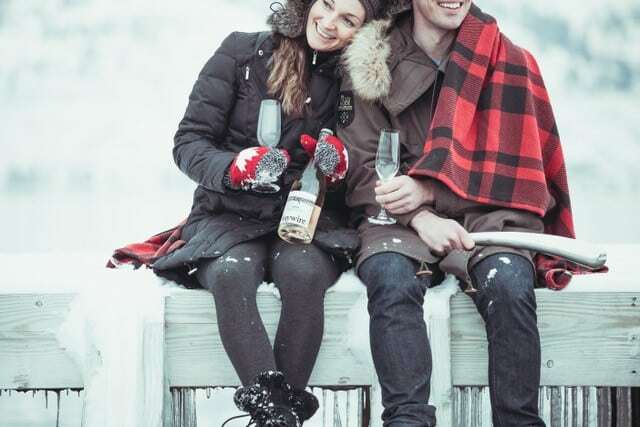 Be sure to tote along a fun bottle of Summerhill Pyramid Winery‘s 2011 Cipes Blanc de Franc and perform a classy sabrage for friends during your après ski. Impress the crowd with your performance abilities. This 100% Cabernet Franc traditional method sparkling was aged en tirage for 3 years and presents fascinating notes of dried raspberries and blueberries, fruit cake and currants. A sabrage looks a lot harder to perform then it really is. To help you out, I’ve put together this tutorial below. Wishing readers a beautiful and memorable New Years! May 2019 be your best yet. BC Wine with a holiday twist! The holiday season is here and with it comes many parties and reasons to celebrate. 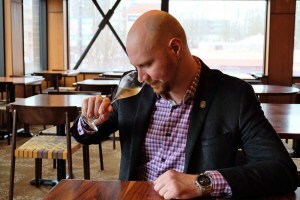 Sean Nelson, Vancouver-based sommelier and the 2018 winner of The BC chapter of the Canadian Association of Professional Sommeliers (CAPS) BC’s Sommelier of the Year Competition puts a fun holiday twist on BC Wine this season and recreates three of his favourite wine cocktails using premium BC VQA wines! WATCH! Sean Nelson features premium styles of BC VQA Wine on Global News at Noon in a demonstration of different ways to enjoy local 100% BC wine this holiday season! Stay tuned for the segment live on Global News at noon, Friday, December 21, 2018. Thirsty yet? Here is a list of Sean’s top BC Wine Cocktail recipes to recreate for your next holiday party! Make your French 75 – traditionally made with Champagne – into a BC 75 and enjoy this premium cocktail using a traditional method sparkling wine from BC. BC is producing top notch traditional method bubbles that top wine critics and sommeliers from around the world are raving about. Combine gin, simple syrup, and lemon juice in a cocktail shaker filled with ice. Shake vigorously and strain into a chilled Champagne flute. Top up with a BC Sparkling Wine. Stir gently. Garnish with a zest of lemon. BC Icewine harvest has began! 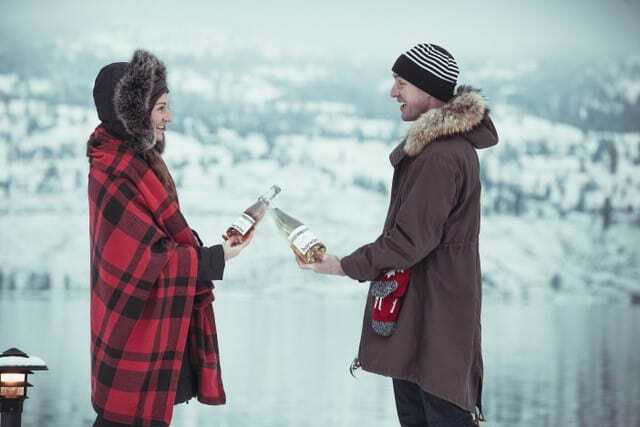 Canada is home to the greatest Icewine in the world and BC Icewine is certainly a delicious and rare treat! Unlike other Icewine producing regions of Canada and the world that experience these cold climatic conditions each year, Icewine harvest in BC is a rarity. The Okanagan Valley and Similkameen Valley are the only wine regions to regularly experience these temperatures in BC, but it is never a guarantee. Producers wait in anticipation each year for temperatures to drop, not knowing if or when they will have a window of opportunity to complete an Icewine harvest. More commonly produced in BC is Late Harvest wines, another delicious dessert wine but without the strict regulations, risks and costs associated with making Icewine. Combine rum, dessert wine, and lemon juice in a cocktail shaker filled with ice. Shake vigorously and strain into a chilled cup. Garnish with a zest of lemon. While we crave warmth and spice at this time of year, it is hard to believe that BC is home to Canada’s only desert and is producing world-class full bodied reds. Pair a premium BC full bodied red with the season’s spices and cozy up with friends and family by the crackling fire. Begin by peeling large sections of peel from the orange, lemon, and lime. Put the sugar in a saucepan over medium heat. Add the peels, the juice of the orange, the cinnamon, half vanilla pod, and five or so gratings of nutmeg. Then add just enough wine to cover the mixture. Simmer the mixture until the sugar has completely dissolved then bring to a boil for 5 minutes. Once you have your red wine sugar syrup, turn the heat down to low, add the star anise and the rest of the wine and slowly heat. You don’t want this mixture to boil, just brought up to a warm serving temperature. Serve into your favourite mug and enjoy! Happy holidays and “Clink Clink” Cheers to the New Year! https://winebc.com/wp-content/uploads/2018/12/20171124_BC-Wine-Institute-Kamloops-6750.jpg 5760 3840 Wines of British Columbia https://winebc.com/wp-content/uploads/2017/12/logo.png Wines of British Columbia2018-12-21 17:10:562018-12-21 19:04:09BC Wine with a holiday twist!